“Although it might be small it is always mighty,” the saying may not be exactly about interior designing but it sure does come in handy when describing a small kitchen. Just because you have a small kitchen does not mean you can’t fill it with beautiful décor that makes the space feel bigger and more put together. The key is selecting key pieces and working them in. 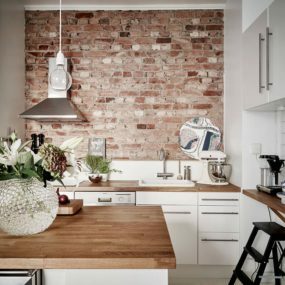 We have put together a list of small kitchen décor options to help you achieve your perfect look. 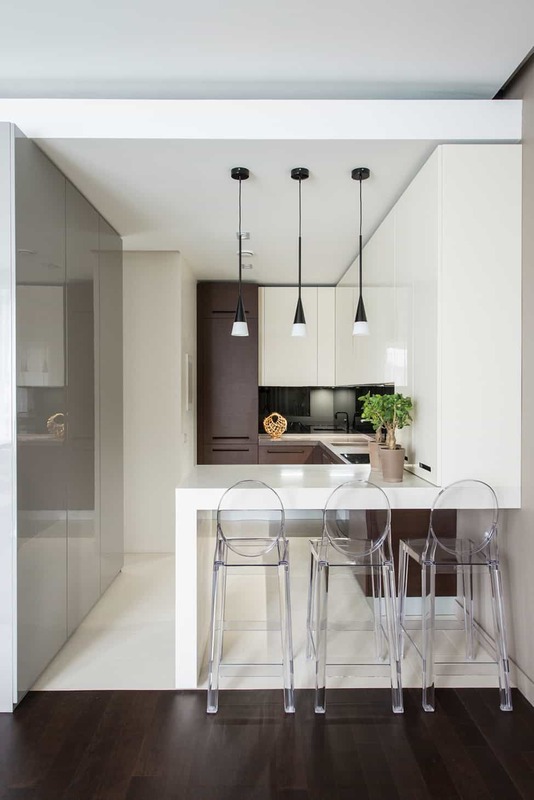 Simple yet modern are the best two ways to describe a kitchen that doesn’t need much to it to feel complete. The idea is for the space to feel so complete it doesn’t necessarily need extra decor. Sleek barstool will keep the space put together as well. 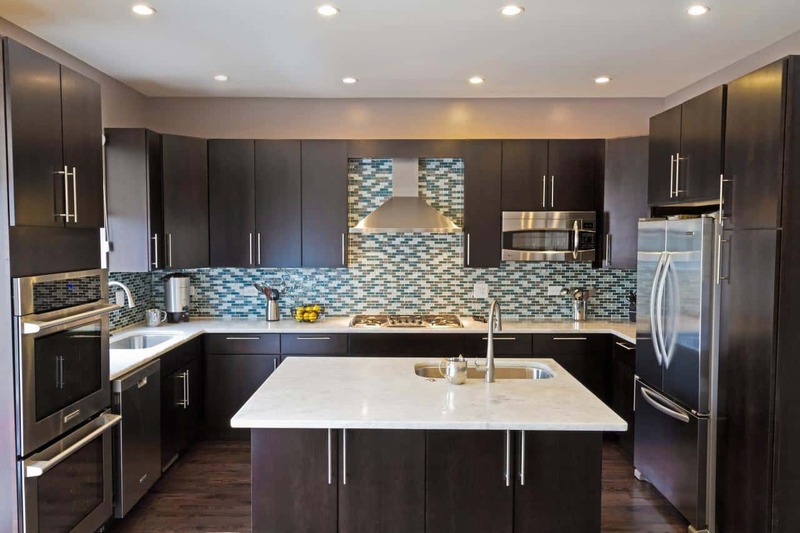 A modernly decorated kitchen is the perfect way of having a small space feel larger. The reason being modern décor is typically sleek which means there aren’t as many components to it just a beautiful trendy kitchen design. Multiple light fixtures together will work great to help keep a cohesive look that also helps the room appear larger. 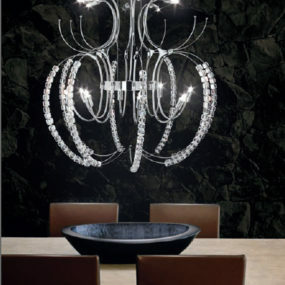 The key is working with bright light fixtures that are simple to pair with other types of lighting. The amount of light fixtures you use is completely up to you. We recommend using a small amount of 2-4. The brighter the room the larger it will appear. That is when having multiple different similar light fixtures will come in handy. You want to display a few light fixtures that make sense to brighten the room while providing an intricate focal point that doesn’t take away from the space. 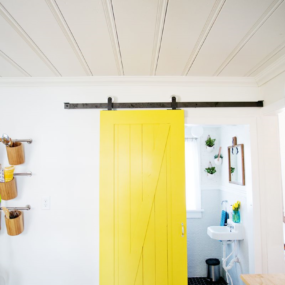 Color is pretty much essential in every room of the home, especially smaller rooms. 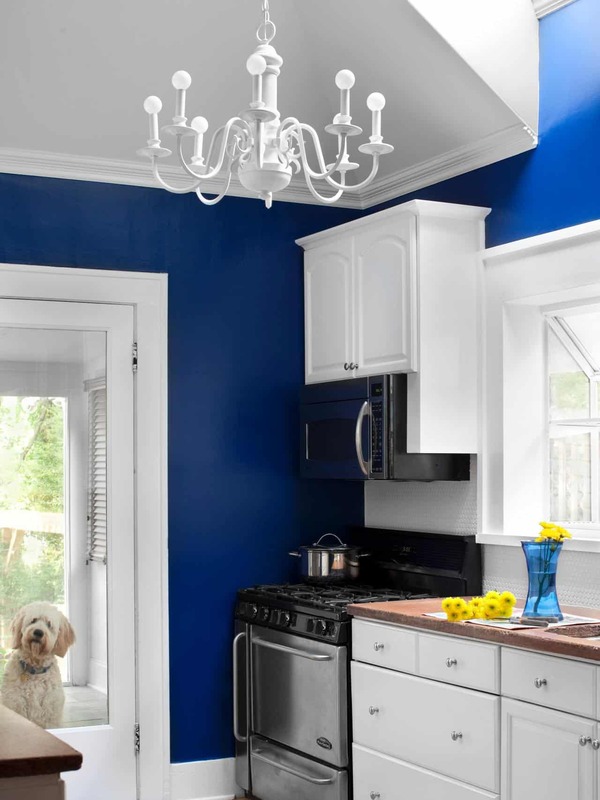 This also includes the kitchen, a smaller kitchen can appear put together by the simple use of color. Using color helps the room have a more modern appeal which in return will elevate the contrast that is created in the space. Instead of trying to make the kitchen area appear larger consider embracing the size of it by working around that by adding color. 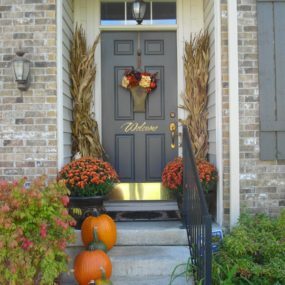 Color is excellent for any area that needs a bit of an upgrade without having to do much work. The brighter the color the better. 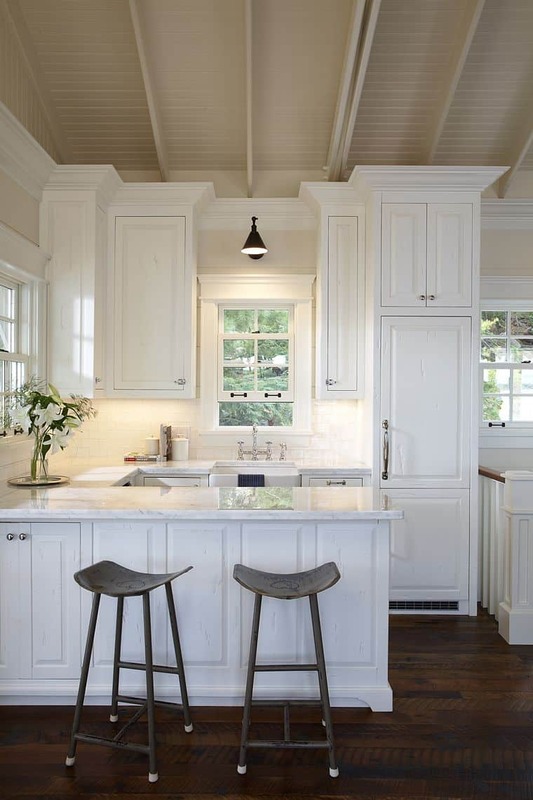 An all-white kitchen works because it is bright, crisp and makes sense. The idea of it is to keep the space as minimalist as possible to allow the freshness of the white decor to make the bold statement. If you want to add texture consider adding marble. It has veining that has texture already built-in. There is something whimsical about having an all-white kitchen. There is just this sense of an undeniable peace that screams beauty. 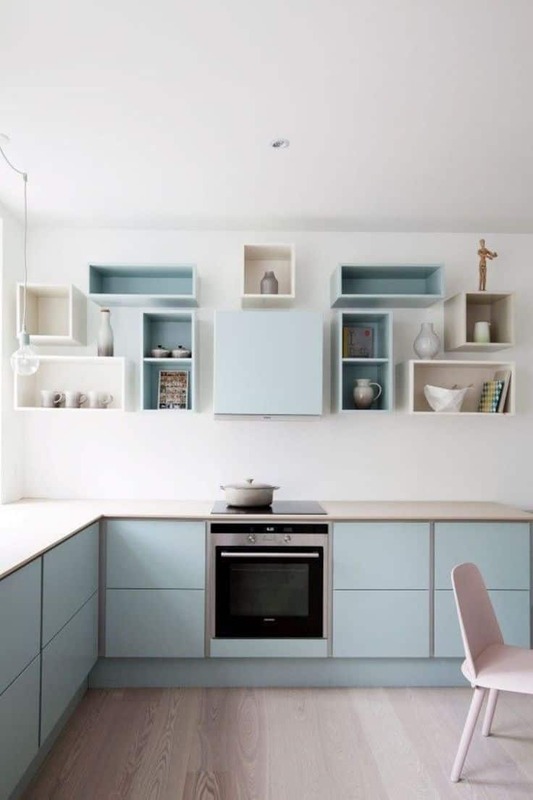 This is a perfect idea for a small kitchen because white is brightening so pair it with a few key color elements to allow the area to have a personality of its very own. Even though darker cabinets can be a bit shrinking to a room, to really feel the shrinking effect you have to pair it with other dark hues. Therefore, when they are paired with a light wallpaper the contrast between the two will brighten up the space and make it appear elegant. 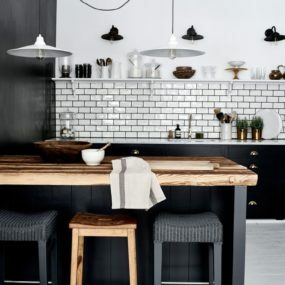 Do not be afraid of darker cabinets because in all reality they can make the space feel edgy and masculine instead of small. The key is working with darker hues that make sense to the space. If it doesn’t feel trendy, don’t add the hue. 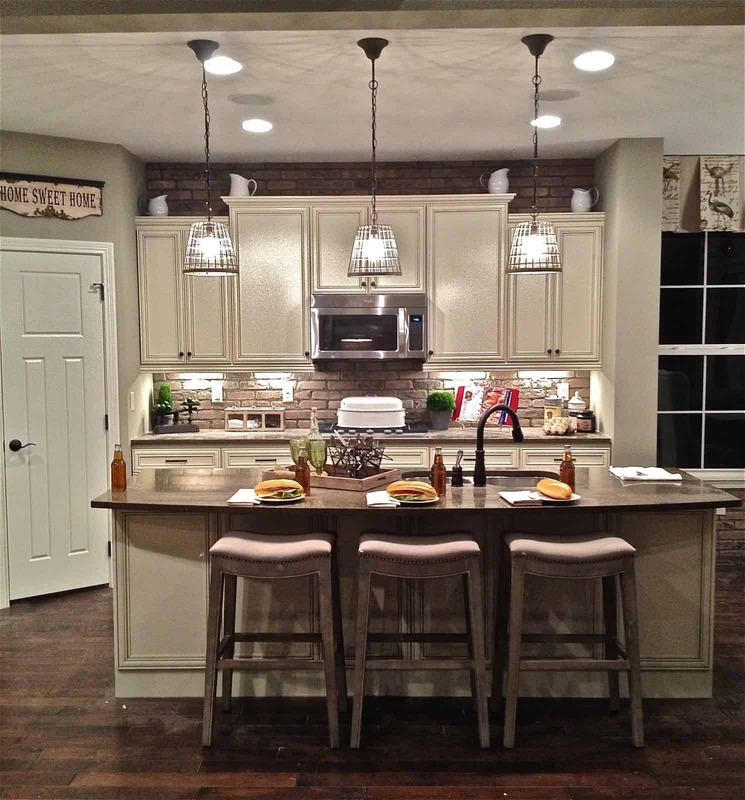 A vintage island is not only typically small but it is also a bit rustic and has a farmhouse feel to it. This could work in your favor if you want to take a simple vintage kitchen island and have it stand out from the rest of your decor easily and quickly. 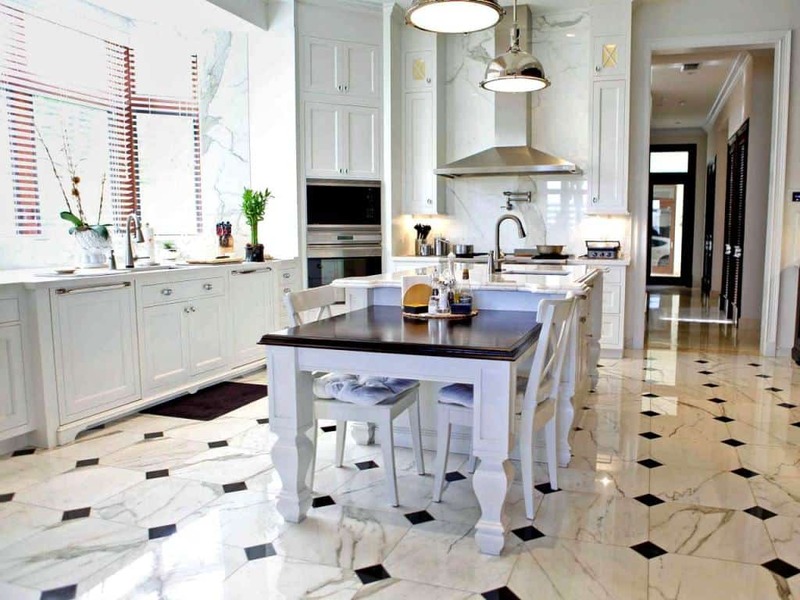 Add a marble top for a trendier appeal. 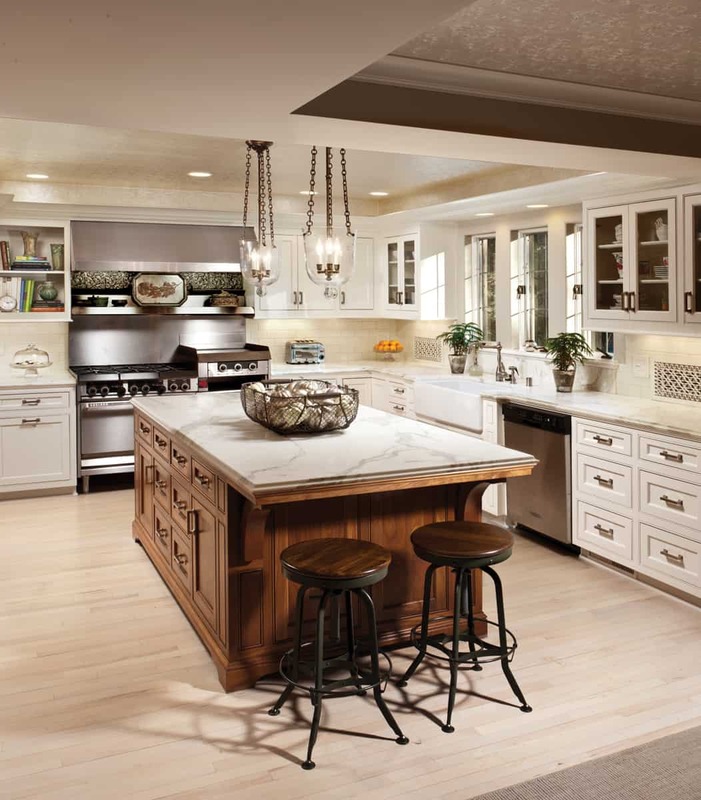 Kitchen islands can be great, but they can also be large and take up a lot of room. Instead of having a traditional kitchen island consider having a vintage one. Vintage kitchen islands are smaller and more compact which makes them perfect for smaller areas. Simple yet colorful may seem like a paradox. But in all reality, it is quite simple to achieve instead of adding vivid hues that may throw off your decor add a pastel shade. The softness in the pastel hue will bring everything together in a simple manner that makes sense. Minimal décor does not mean it can’t have essential pieces, it simply means the essential pieces are less bold. Keeping it minimal allows you to work in color easily and effortlessly. Use a combination of bold hues and neutrals to create an elegant contrast. Why change your entire decor when you can simply change your flooring. Changing your entire decor can be expensive, therefore, changing up your flooring could be the best bet. Change it up with a flooring pattern that elevates the decor instead of taking from it. One mistake many homeowners do when they realize they have a small kitchen is they keep the space simple with little to no décor. However, what this does is create a bland effect that makes the kitchen feel impersonal. Instead of maintaining the space bland change the flooring. Consider a colorful, bold floor or even tiles put together in a pattern. The beauty of custom cabinetry is that they can be created to your liking which is great when you have a small kitchen space. Keep the decor rustic and simple for that vintage feel that makes sense. The key is working with a custom cabinetry design that fills the space but don’t appear cluttered. 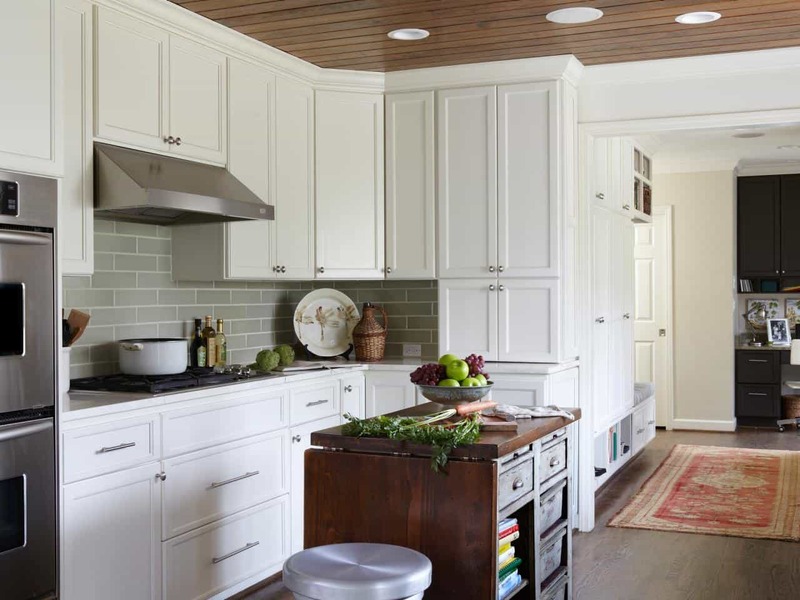 Do not underestimate cabinets and what they can do for the kitchen. Custom cabinets are excellent because they were created specifically to fit the sizing of your kitchen. 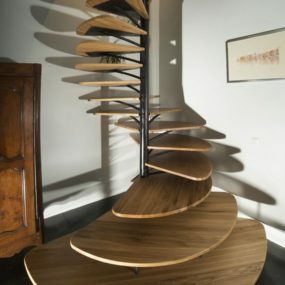 Therefore, they will take up less space but have the same amount of interior space. Wallpaper is a top contender when you want to add color and texture to a room because it provides everything needed in one simple space. The idea makes sense and is easy to execute even in the smallest kitchen. You may consider a solid color or even a pattern. Keep it repetitive for the best outcome. 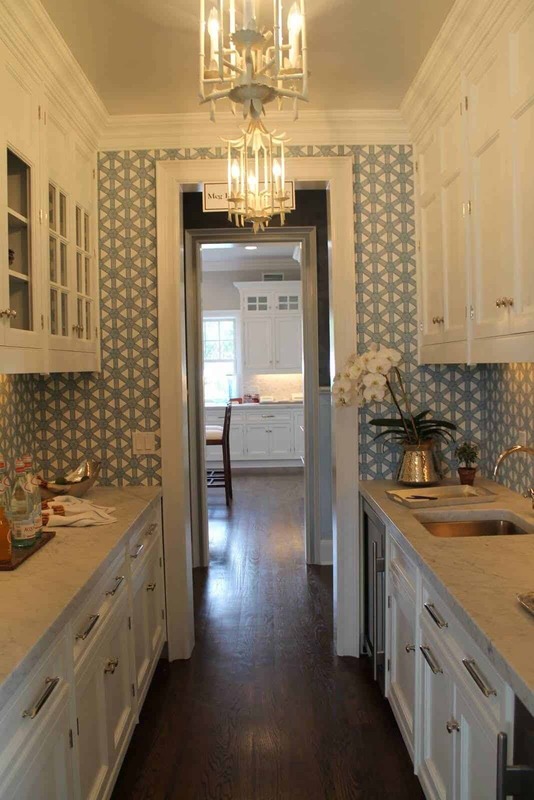 Wallpaper is another excellent way to add color and texture to a small space. Apply wallpaper to an accent wall for that pop of color that is not overwhelming. Choose a pattern that stands out yet feels natural to the space. Doing so will make it easier to decorate around it. Your kitchen deserves to be the highlight of the home no matter how big or small it is. Which of these ideas will you be trying in your home? Share with us in the comments below.